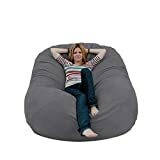 I've never considered the bean bag chair to be high-end furniture, but that all changes with this cool new Grand Leather Bean Bag Chair from Restoration Hardware. 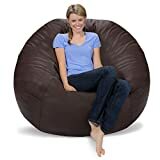 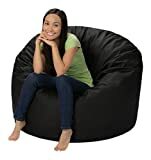 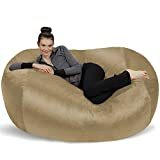 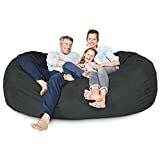 Like an old baseball mitt, this plump, over-sized bean bag chair is upholstered in fine leather and seamed with a circular center for glorious sink-in comfort. 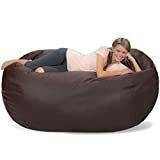 It features a velvet bottom, topstitching detail, a child-safe locking zipper on the bottom, and can be ordered in a variety of different leathers to match your home's decor.